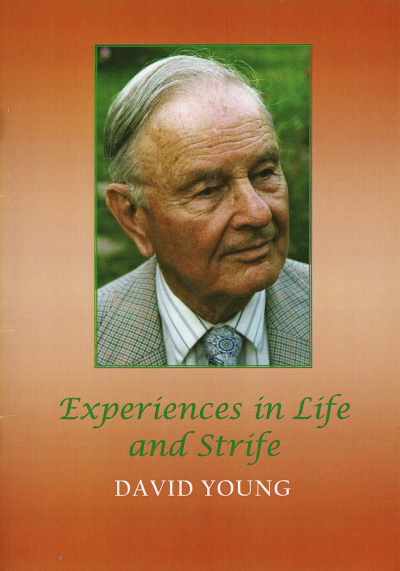 David Young has known India since his childhood when he spent his first ten years in Delhi. He returned to India with the Army in 1941 serving with the Royal Engineers in Burma where he won the Military Cross. In this booklet he tries to show how everyone can have a part in making a difference in the world if they are ready to listen and obey. Soon after I joined the Army, my mother was summoned to Buckingham Palace to be awarded the Commander of the British Empire (CBE) by King George VI. It was with great pride that I accompanied her in November 1940. As we came out after the ceremony, reporters were keen to hear what awards people had been given. Seeing me in uniform, they asked me what I’d got. I said they’d better to speak to my mother, which came as a surprise as she showed them the CBE and told them it had been awarded for medical services in India. If you want to download the book click on the button below, please.